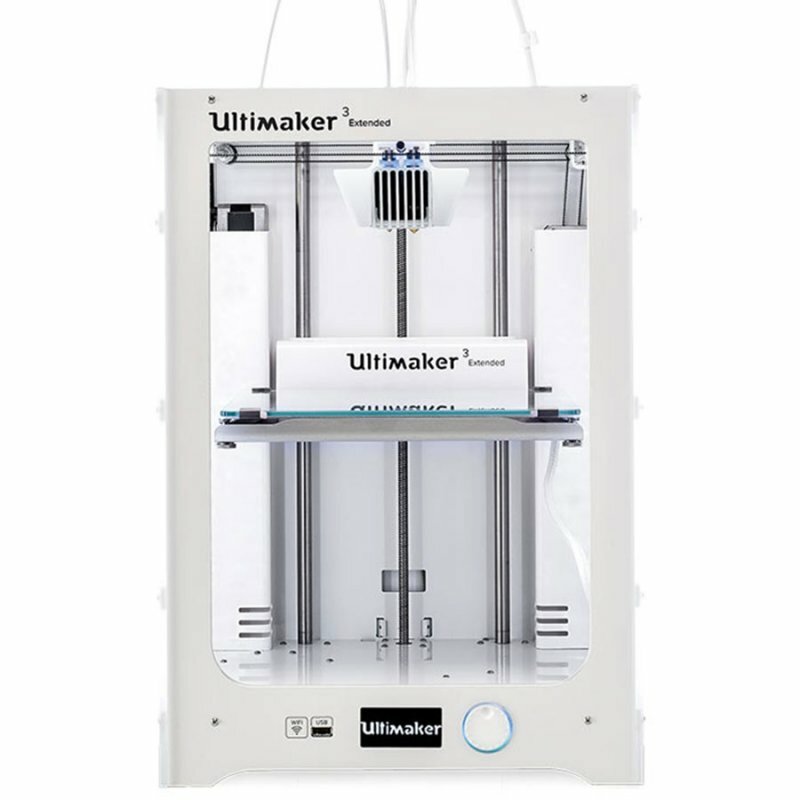 The Ultimaker 3 Extended is the large-format version of the Ultimaker 3. It includes new features that make it even more powerful, for prints adapted to professional needs. Now equipped with double extrusion, it lets you make complex parts requiring technical filaments and printing supports. The Ultimaker 3 Extended also has WiFi connection and a control camera. 4 434,00 € Tax incl. 3 695,00 € Tax excl. 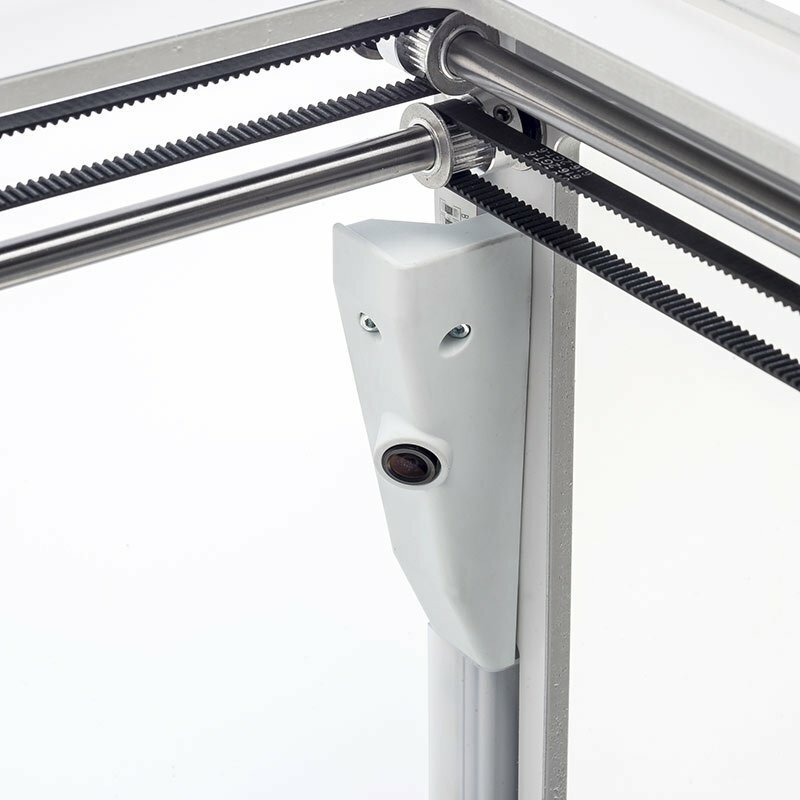 The Ultimaker 3 Extended is a professional printer with a built-in double extrusion system. 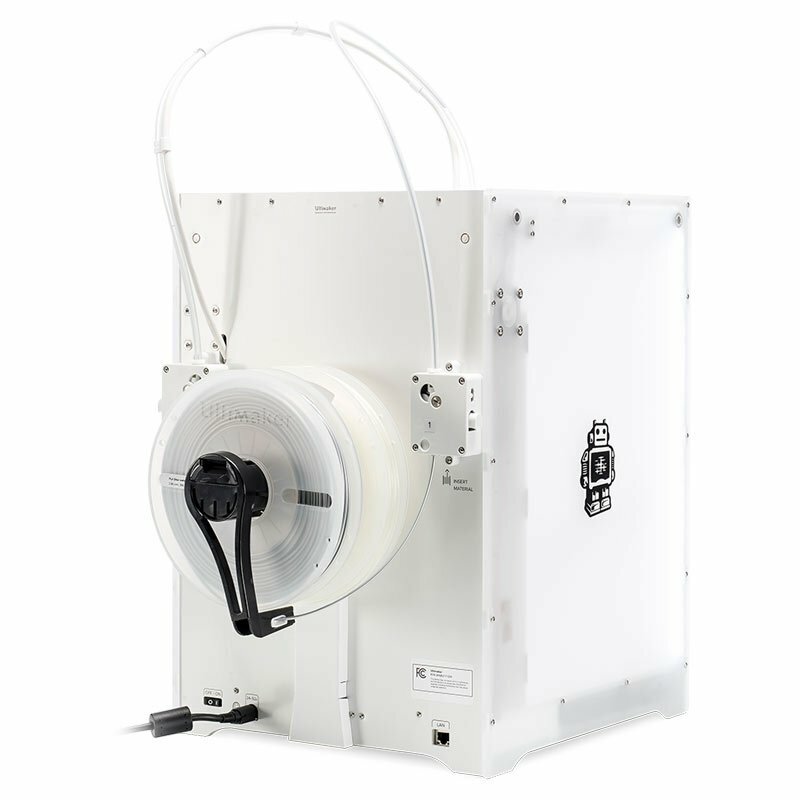 This system enables the new Ultimaker printer to make complex prints by combining two types or two colours of filaments. 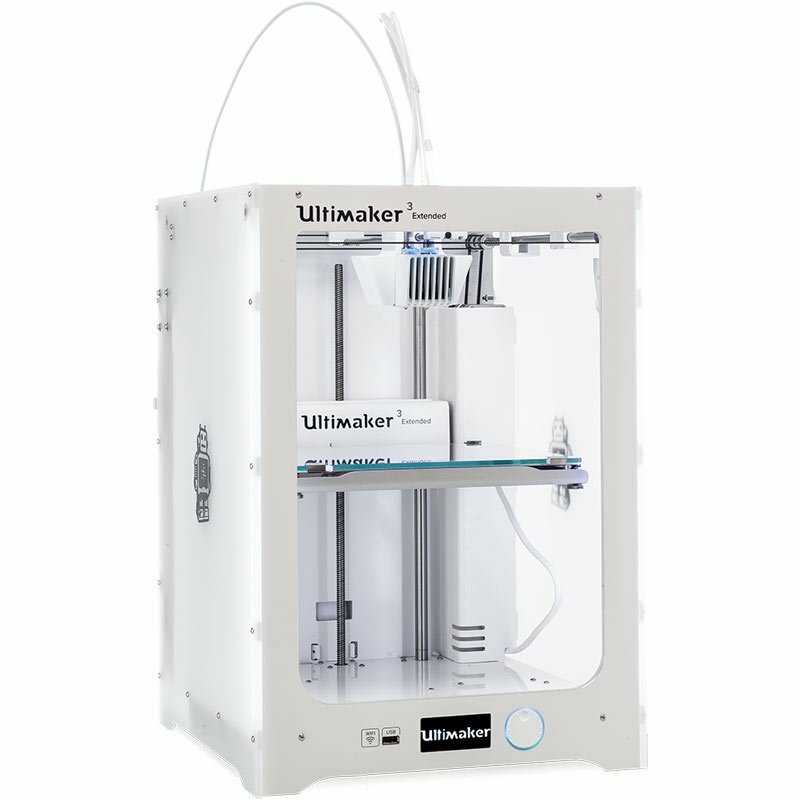 With the Ultimaker 3 Extended, you can make 3D prints of high quality with an accuracy of up to 0.02mm (20 microns) layer thickness and a volume of 215 x 215 x 300 (197 x 215 x 300 mm in double extrusion). 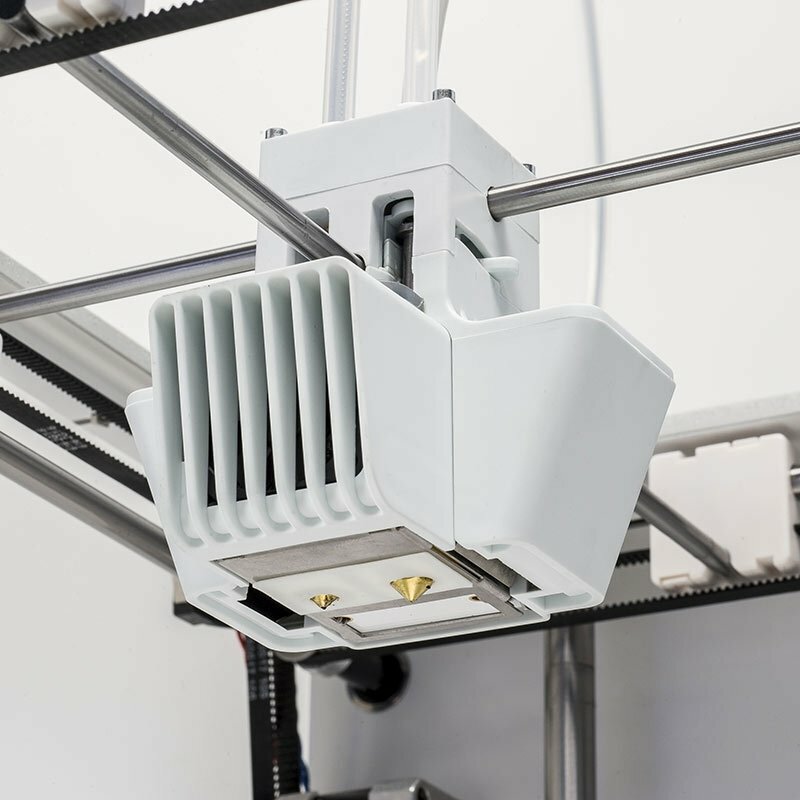 The Ultimaker 3 Extended is now equipped with WiFi connection to simplify the transfer of files to the printer and interchangeable Print Cores to easily modify the print heads depending on the filament used. The Ultimaker 3 Extended version has exactly the same features and functionality as the Ultimaker 3; only the print volume has changed (10 cm more on the Z axis). Silent, fast and reliable, the Ultimaker 3 Extended is a 3D printer that has all the features required for professional use. Makershop services include a one-year warranty on the printer and lifetime technical support via our technical team trained directly by the brand. 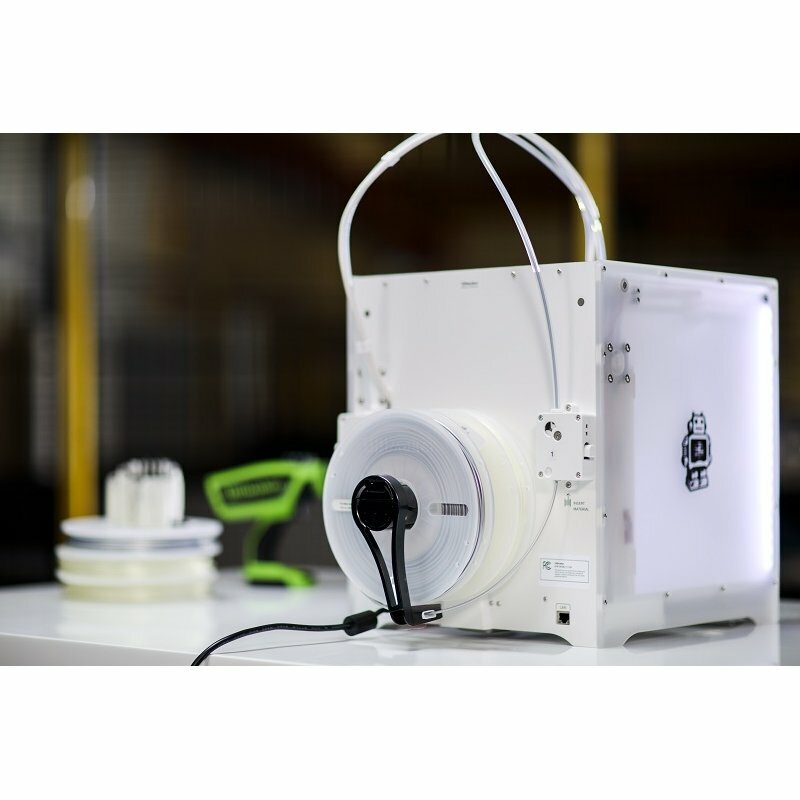 Makershop is the only certified Premium dealer for the Ultimaker brand in France and is authorised to train users, repair printers, and ensure professional monitoring of all requests. The Ultimaker 3 Extended printer has a double extrusion system that lets you multiply the print possibilities several-fold. 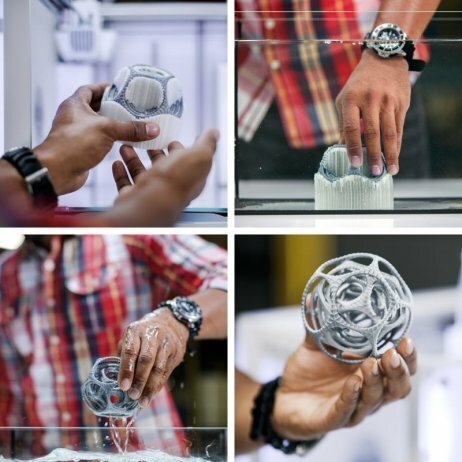 This technology makes it possible to use two different materials for producing a print. 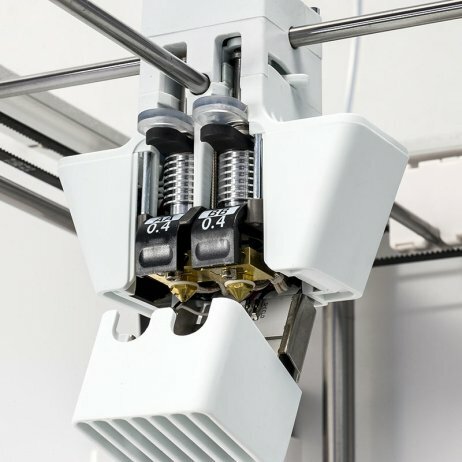 With the Ultimaker 3 Extended 3D printer, you can use soluble filament (PVA), which is easily dissolved in water, for creating parts that require supports. Print Cores have a mechanical system that alternates the nozzle levels to avoid interference and obtain reliable prints. 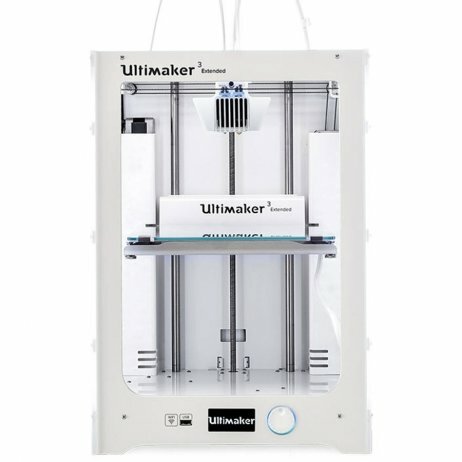 Adapted to the needs of professionals, the Ultimaker 3 Extended is ideal for printing more technical large-format pieces. The print head of the Ultimaker 3 Extended is composed of two Print Cores, each for extruding a filament (Print Core AA for the filament used for the final piece and Print Core BB for the soluble filament). What’s new is the way the Print Core is used, simplifying the changing and adaptation of print heads to each type of filament. The Print Cores are adapted and optimised for different materials and thus allow high-quality prints to be made. 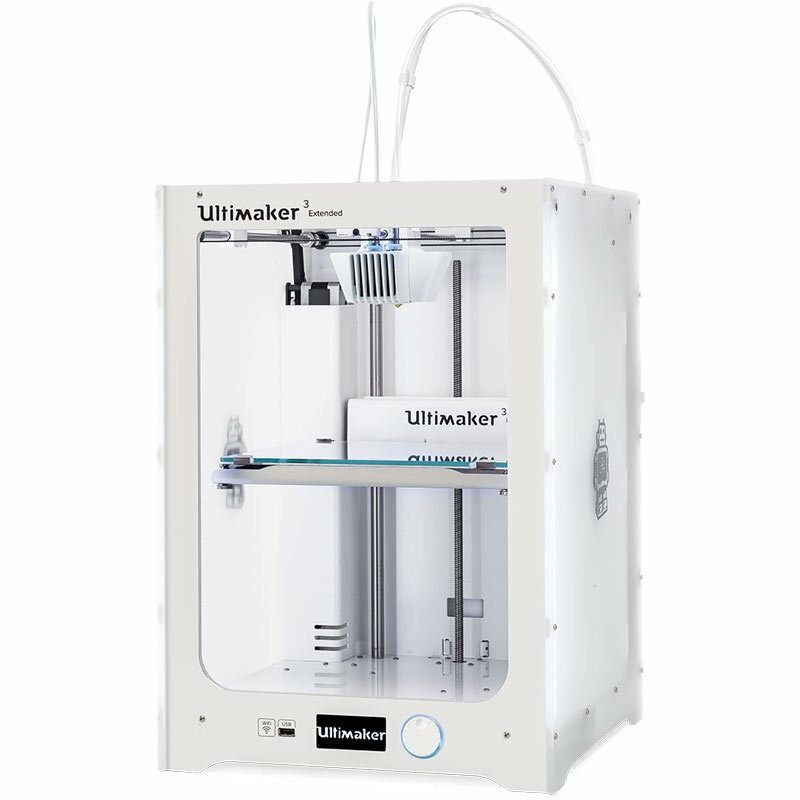 The Ultimaker 3 Extended is compatible with a large number of 2.85mm diameter filaments (PLA, ABS, PVA, CPE, nylon...), and especially technical filaments for printing parts for industry. 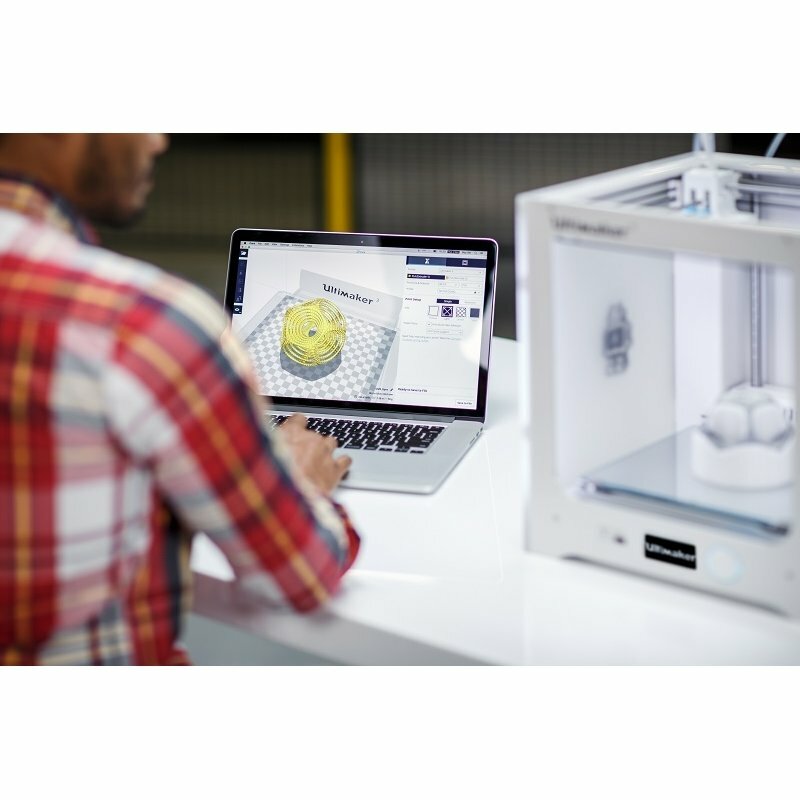 With these new features, the Ultimaker 3 Extended printer is easier to use and accessible to a wider public, from novice users to those who are more experienced. 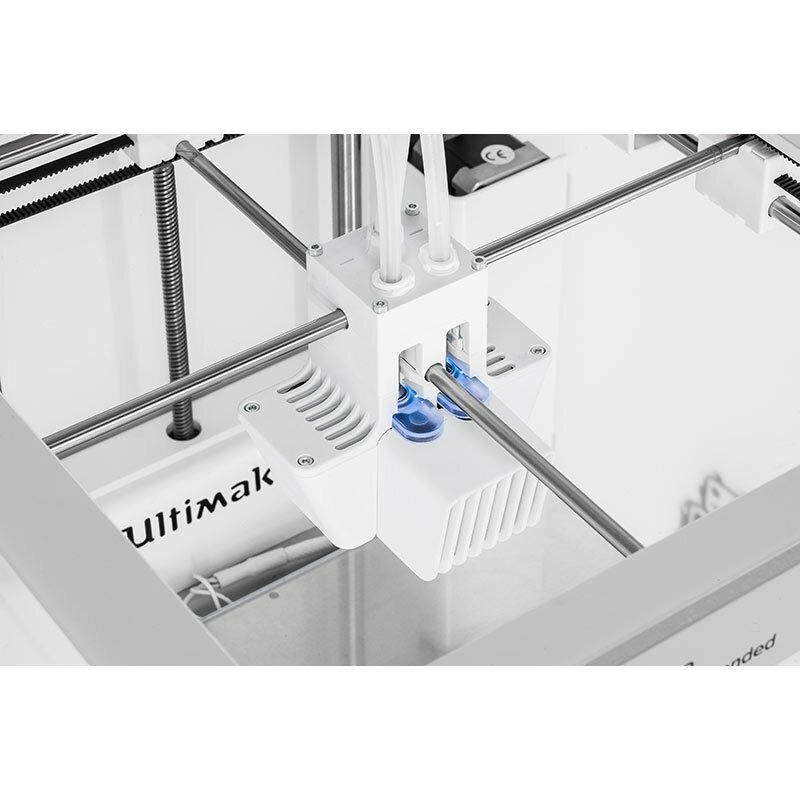 The Ultimaker 3 Extended now has a WiFi connection which simplifies sending files to the printer. Transfer is also possible using USB connectors and RJ45. A camera films the 3D printing as it happens and sends the video to your computer via the Cura software. The firmware of the Ultimaker 3 Extended printer offers increased possibilities with the integrated Gcode diagnostics. It is possible to view the status of the Print Core in real time through a system of integrated LEDs and an intelligent colour code. Able to reach a maximum temperature of 115°C, the heating plate of the Ultimaker 3 Extended gives you the ability to print many materials prone to peeling, guaranteeing you good adhesive performance. 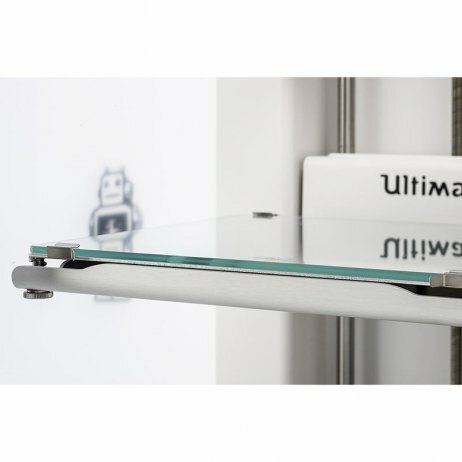 The heating plate of the Ultimaker 3 Extended is characterised by improved lightness and rigidity. Plate vibration is thus reduced and the finish of your prints improved. The plate level is automatically adjusted using a sensor which optimises the distance separating the plate from the nozzle. Manual adjustment is still possible. The NFC technology built into the Ultimaker 3 Extended printer allows it to recognise the Ultimaker filament spools and check their compatibility with the Print Cores installed. These NFC chips configure the print settings automatically and allow you to cut down on preparation time spent on your prints, guaranteeing you good thermal parameters. With the settings being automatically configured and optimised for each filament, the success rate of your prints is greatly increased. With the Open Source Cura software, you can adjust your print parameters with the Ultimaker 3 Extended. 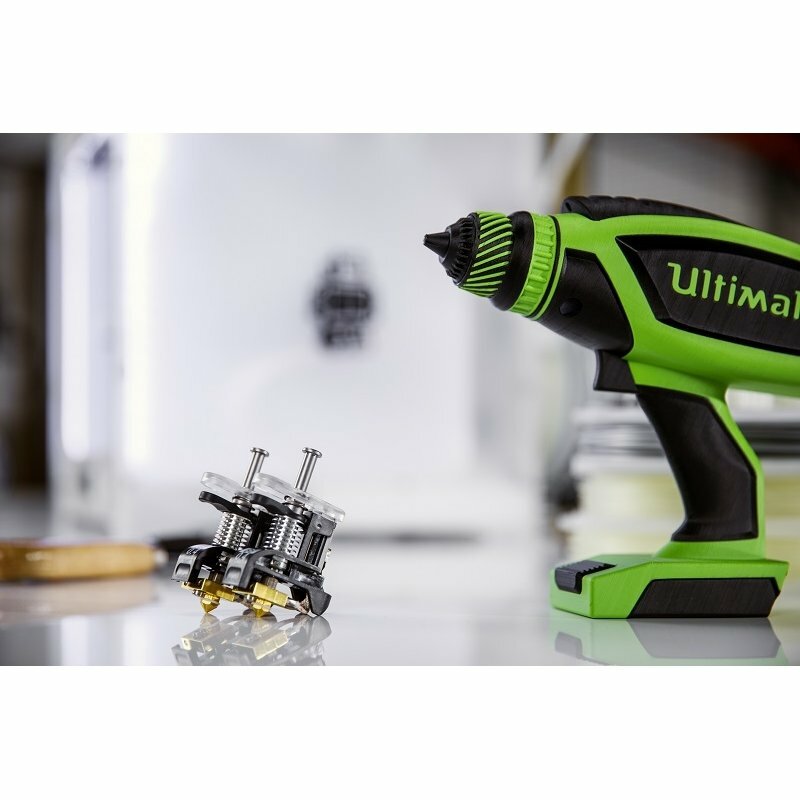 This version has characteristics adapted to the new features of the Ultimaker 3 Extended. Suitable for professionals and private individuals, the Cura software lets you start printing quickly by selecting your materials or set all the print settings yourself, such as extrusion temperature, layer thickness or printing speed. With this version of Cura, you can manage settings for both Print Cores based on the filaments used. You can also follow the progress of your printing with the video displayed in the Cura software.